Price in India Honda Navi is priced at INR 45,075 in India (Ex-Showroom). Official Tagline Whatever it is, it's FUN! Vehicle Overview Navi is powered by the same engine as Honda Activa while carries a moped inspired design with motorcycle style riding. It is even the most economical Honda product for the country. 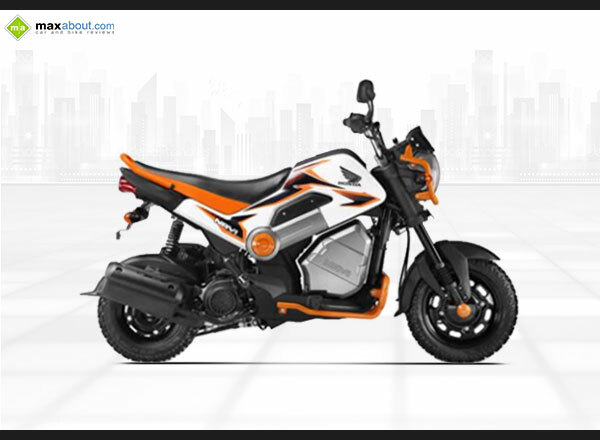 If you are looking for a eye catchy machine for city riding, Navi is the only option available in India. It is available in 5 eye-catching shades, plus you can also get your Navi customized while placing an order at the dealership. Should You Buy It? Only if you are looking for a fun product that would be driven within the city and that too with a single rider at most times. If you are a six footer, avoid buying Navi as much as possible. The first look at the machine would make you think if it is a motorcycle or a moped but as soon as you reach closer, you can notice that it is a scooter sized motorcycle with around same seat height and driving dynamics. Honda Navi 110 comes with a vacant space below the traditional fuel tank position, which is expected to carry a removable storage as seen in some concepts around the motor shows. Navi uses a 12 inch front wheel whereas the rear measures 10 inch in size. The tyres are standard Activa sized and the same is being offered in 5 eye catchy colors: Patriot Red, Hooper Green, Shasta White, Sparky Orange and Black. Honda Navi measures 1805 mm in length, 748 mm in width and 1039 mm in height. The seat height measures 765 mm and wheelbase is 1286 mm. The ground clearance of Navi 110 is 156 mm. It weighs just 101 kg and comes with a fuel tank of just 3.8 liters. The instrument console of Honda Navi is too basic with just an analog speedometer and an analog odometer. Quite surprisingly, this all-new moto-scooter from Honda doesn't come equipped with a fuel gauge. Honda Navi is powered by a 109.2 cc engine powering nearly every Honda motorcycle and scooter in the commuter segment. It produces a max of 8 BHP @ 7,000 rpm and 8.96 NM @ 5,500 rpm. It comes with the same V-Matic automatic transmission which is used in Honda scooters. Honda Navi 110 is available in one single variant for now, though Honda says that Navi is very customizable and you can opt for different body options and coloured body panels. Three custom variants of Honda Navi 110 were also showcased at 2016 Autp Expo. The variants are known as Navi Street, Navi Adventure and Navi off-road. 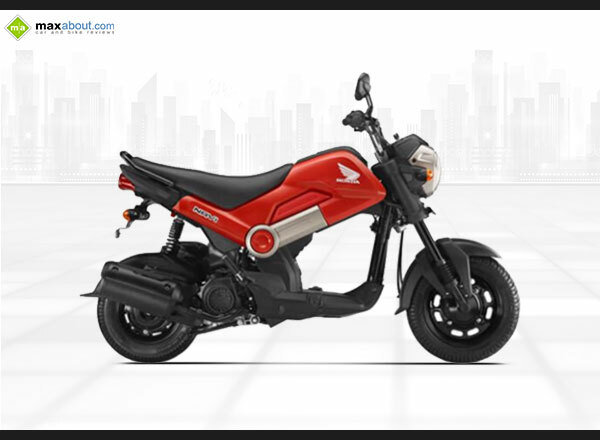 You need to download the Honda Navi mobile phone app to book this moto-scooter bike for you. The starting price for Honda Navi 110 is Rs. 39,500 (ex-showroom Delhi), and pre-bookings for the same are now open. Honda Navi seems to be a very good option at this price point, if one is looking for a unique 2-wheeler to stand out from the crowd. Honda offers a great package as you can get the same engine as a Honda Activa for around INR 10,000 less than its ex-showroom price. This time, Honda has broken the traditional offering style with Navi 110 and presented an all-new type of last mile connectivity machine. The lightweight and innovative design when added up to its low cost can easily make it a successful product. Honda is working hard on changing the mindset of the Indian riders and soon we can have bigger machines like PCX, if the Honda's experiment of changing the tradition goes right with the masses.